Every football supporter savours a come-from-behind victory. To win from six goals behind the league leader by a one point margin with the last kick of the match is sweet indeed. All South Adelaide Football Club supporters were duly proud of the 21 players wearing the blue and white jumper against Adelaide Football Club last Sunday. Were you amongst the packed throng in the Peter Darley Room for the after match presentations when every player was greeted with applause as they entered the room? The composition of the SANFL competition has changed many times during the 140 year history of our club. In 2013, the South Adelaide board consulted its membership about a proposal to admit two affiliate clubs into the competition. A constitutional majority of SANFL constituent clubs supported the proposal and South Adelaide has embraced the new challenges presented. At the end of the 2015 season, the SANFL reviewed the impact of the admission of the two AFL affiliate clubs. 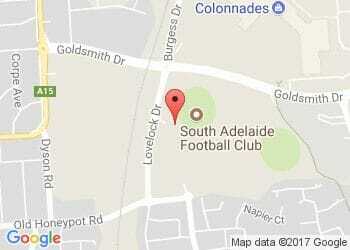 Once again, South Adelaide participated in that process and has abided by the outcome. South Adelaide lost the 2014 preliminary final to a Port Adelaide Football Club team which included 19 AFL listed players. Consequently, if South Adelaide is to win the SANFL premiership, it must be able to defeat an affiliate club which has 19 AFL listed players. It is simple as that. I am delighted that Adam Gulden now works part-time for my firm. Discussing the forthcoming match last week, I made two points to Adam. First, all sportsmen want to test themselves against the best possible opposition. This is what the top of the table clash with Adelaide provided. Secondly, I was confident that Senior Coach Brad Gotch would devise a way for South Adelaide to win. The rest is history. Next Saturday our club takes on Norwood for the 138th consecutive year. No doubt Redlegs coach Ben Warren and CEO Geoff Baynes (both former Panthers skippers) will be plotting to achieve success against their old club. For many supporters of both clubs, this will be a traditional SANFL game. South Adelaide is writing its own history now. Whether it is against a club in its 3rd year in the competition or its 138th year in the competition, South Adelaide will strive for victory. If our club sitting atop the SANFL ladder with an undefeated record isn't enough to entice you to Hickinbotham Oval this Saturday I implore you to consider it is also our captain, Brad Crabb's 150th game of service for South Adelaide. Brad will become just the 36th player (of over 1700) in our 140 year history to reach such a milestone and as supporters of this club we owe it to our leader to celebrate his achievement with him. Whatever the outcome on Saturday, I hope that you will join me in the Peter Darley Room after the match for presentations. Get behind our Blue and White boys. Sign up as a member if you have not already done so. Support our successful League and Reserves players and let them know that you crave their success.